Within the beauty boutique we love lashes and offer a range of eyelash treatments. 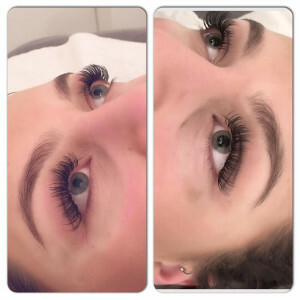 These have developed hugely from the traditional eyelash tinting which is still very popular, so I would like to share a little more information about these treatments that may help you pick which one is best for you! This stands for length, volume, lift, great for those of you who love an eyelash tint but would like a bit more. We bond the lashes to a shield on your eyelid and apply different lotions that lift the eyelashes from the root giving them more length, and enabling them stand up and out so you can see them more, we also tint them during this process, giving them volume and colour. Great for those of you who haven’t got the time for eyelash extension maintenance. This is a low maintenance option as it just gradually wears off, it can last on the lashes for up to 6 weeks and a patch test is required 48 hours before. These are eyelash extensions that are individually applied to your lashes, one lash to one lash. We have a variety of lengths, thicknesses and curls, which can give you many different look from very natural and fine lashes or luscious long lashes. We apply up to 80 lashes on each eye depending on the clients natural lash amount. They last 2-3 weeks then you will need a top up as the natural lashes fall out and the extensions will be attached to them. 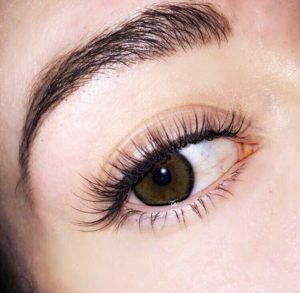 These are eyelash extensions that are quite new in the eyelash industry and are great for those of you looking for the ultimate in glam lashes. 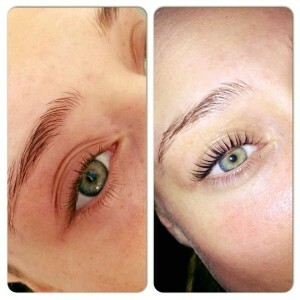 The extensions are very fine, we create a fan from 2-7 lashes with these and then bond this fan to one natural eyelash. This creates a very full fluffy look, we layer these lashes and we have a variety of lengths to give a lovely whispy effect which is very fashionable at the moment. These lashes give you the fullest of looks but also feel very light on the lashes as they are softer than the individual ones. Top ups are required every 3 weeks.